That's the great thing about the production changes as the years progressed - the differences mean there are enough small things that you can pick what you like best. I love the video game dash 84-89. It has unique design and by my opinion it greatly represents the spirit of the eighties. Unfortunately it has some issues and I feel a bit safer I have 1995 dash. I'm an 80's nerd and love the digital dash, but I like the interior in my 95 because of what it is attached to. I had an S-10 with the digital dash and loved it though. a few days ago. It seems to hate me. The VetteAid dash starts looking better every day to me. In terms of form and function there is no question the 2nd generation is a "better" interior - the dash, the finish and the rest of it. That said I "prefer" the 1st generation. My car is a 1989, and I specifically wanted the first gen "video game" dash. I wanted because this is a toy for me and it is so 80s. It is essentially nostalgia. 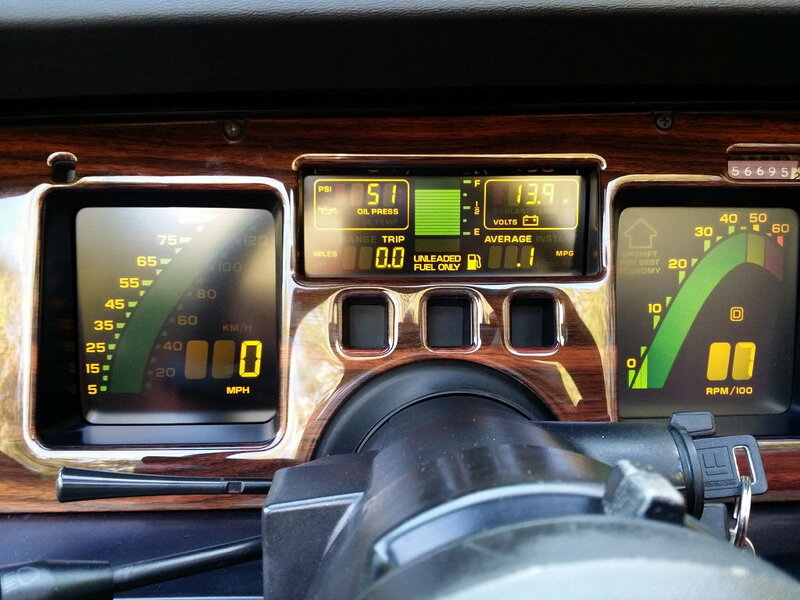 I bought my '86 for the nostalgia, so I like its digital dash. The later dash is cool in its own way too, though. Last edited by JungleCat; 03-31-2019 at 09:30 AM. I like the early cars, outside and in. The interior seems a little austere, more like a real sports car. The exterior lines are sharper and more defined. The early dash is too flat and that bread box. I love the fighter jet cockpit of the later cars. I've said it a bazillion times, but with the mix of digital/analog gauges and the curving cowl, the later version feels fighter-like and that floats my boat. Spaceships are cool too, so I really like the Atari dash gauges - it's just the rest of the dash that I don't love. With that said, if I could get the money/space to have another Corvette, a late 80s vert with the Atari dash would be high on the list. (Right after a ZR-1). First gen C4. To me the seats are more comfortable, the dash looks alot more special and the steering column comes out and down to exactly where I want it. I have an 88 my dad has a 91, can never get truely comfortable in his car, mine I can drive around all day in. I like the early interrior in my 84, simple design, simple seat design that i think has aged very well. I can easily confuse the dash while accelerating, it will skip like 30 digits when I'm really on it. Last edited by juni78; 04-05-2019 at 06:16 AM. The Atari dash is actually pretty easy to work on. Its old school circuit board design and size. Which means even when you get very old and very blindish you can see the huge board traces to fix stuff. Plus there are good sources for parts. Prefer the early dash. Next I like the 94-96. The ‘90-93 is my least preferred because of the orange script and graphics. That said, I had a ‘94 before my currently owned ‘89, and I think the later interiors function better as to legibility and ergonomics. I just like how the early dash lights up at dusk, and it speaks to that era. I like the 90 - 93 interiors and was pleased to see the C7 seemingly pay homage to the isolated pilot styled interior. They tried to refine the look with 94-96 but I think it lost some of the edge.